Culture is an illusive concept. The term "Culture" refers to "patterns of human activity and the symbolic structures that give such activities significance and importance" (Wikipedia). Deriving from the Latin word Cultura, culture is usually manifested to any of the seven arts: Music, Dance, Painting, Literature, Architecture, Sculpture, and Cinema. Yet, the term Culture may also be attributed to a much wider scope of social phenomena including different kinds of sport, political actions and various ways of media communications. The work of the journalist, for example, or the creative thinking that empowers a successful advertising or counter-advertising campaign can also be attributed to the concept of culture. Following this trail, CultCase is a blog about culture and arts. 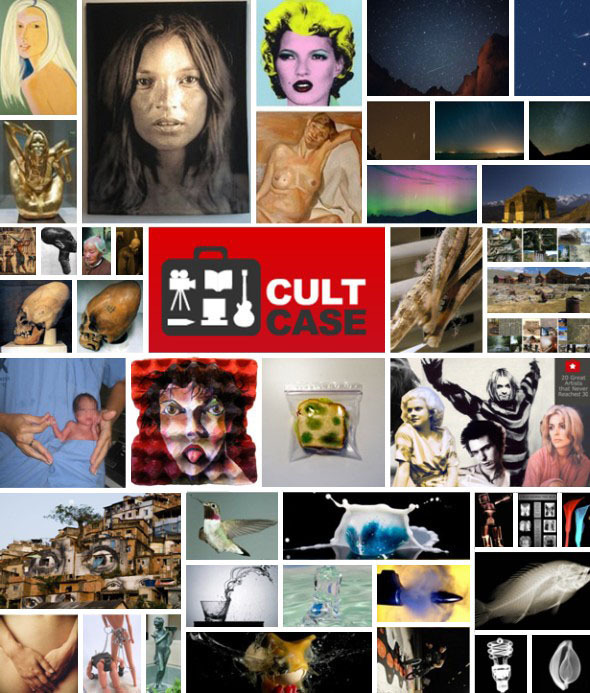 Each case covers a different aspect of human spirit, from painting and film-making, poetry and music to advertising and architecture, popular science and cyberspace – if it's culty and trendy, CultCase is here to break it up for you. The following Flash map, courtesy of whos.amung.us, is a dynamic representation of new arrivals to CultCase as well as current and recent readers.